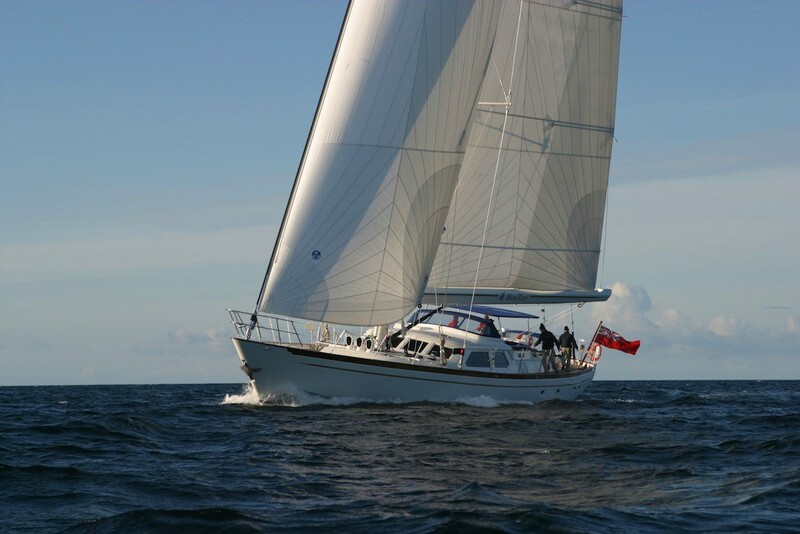 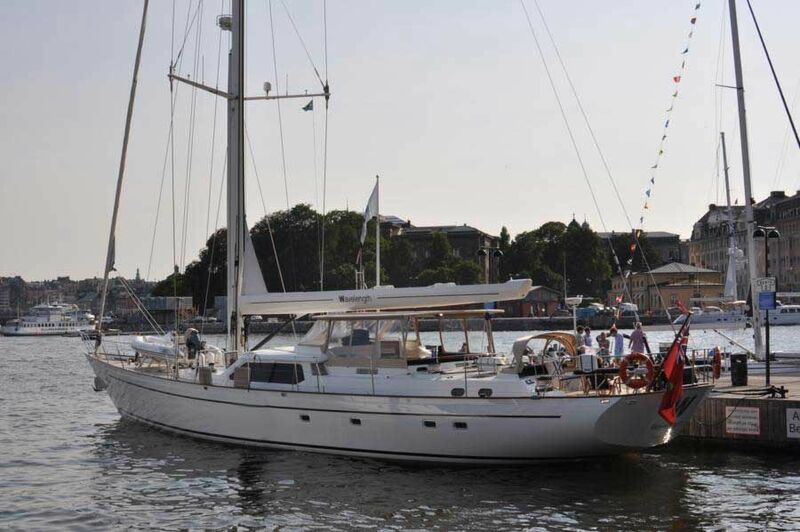 Sailing Yacht Wavelength (ex Boo Too) is a 2002 27m (90') world cruising yacht designed by the famous Ron Holland and built by the Pendennis Shipyard in Falmouth, UK. 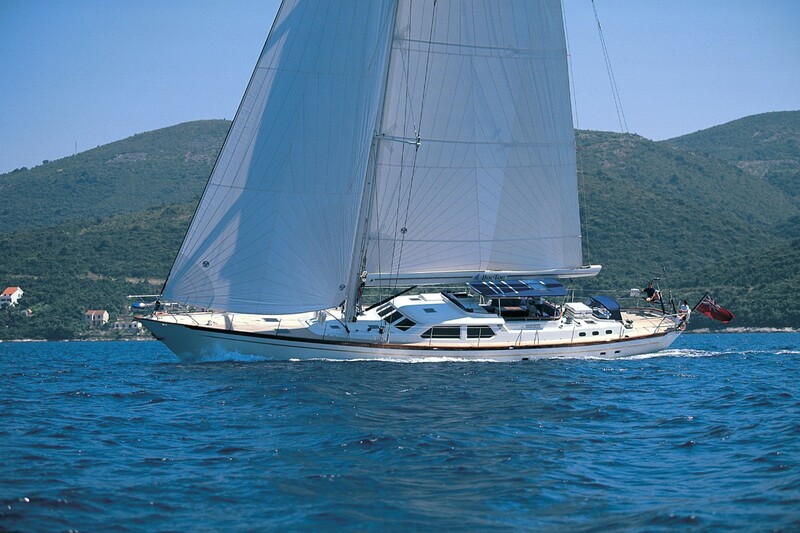 She benefited from a refit in 2008 as well as in 2012/2013. 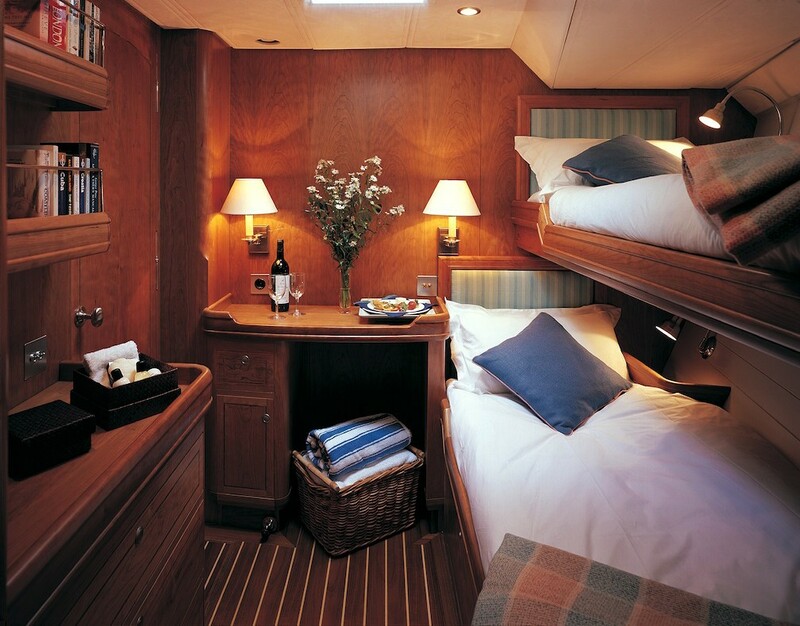 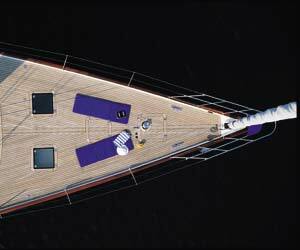 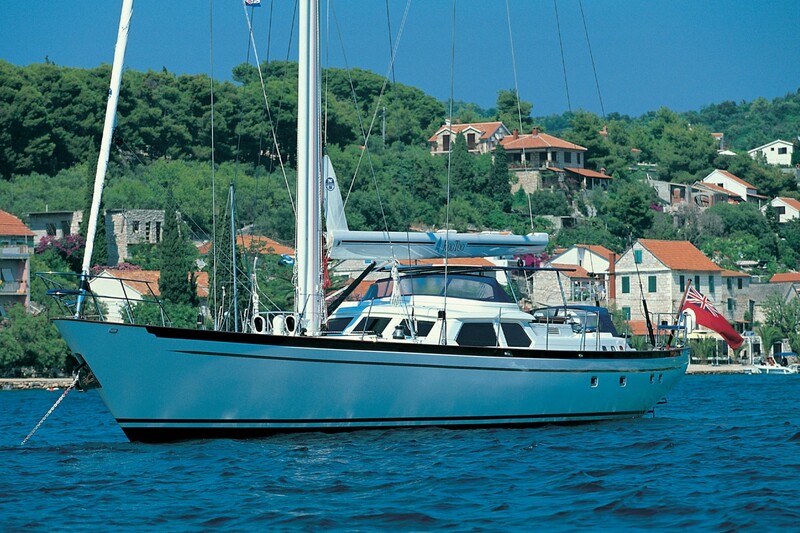 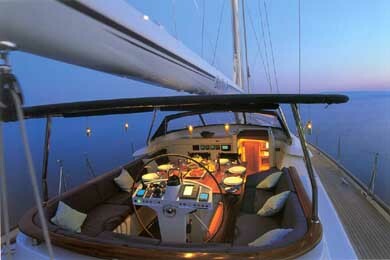 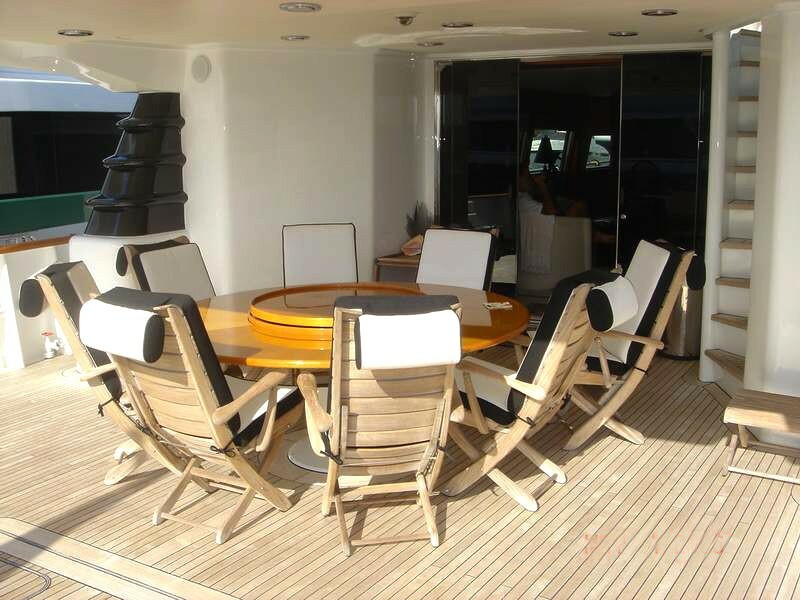 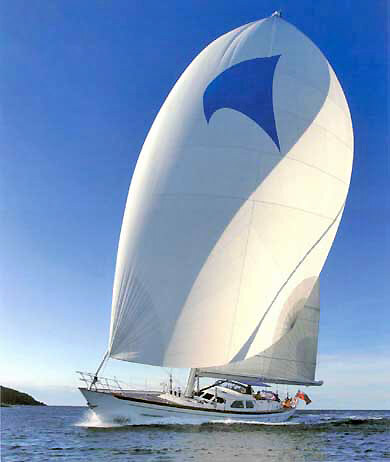 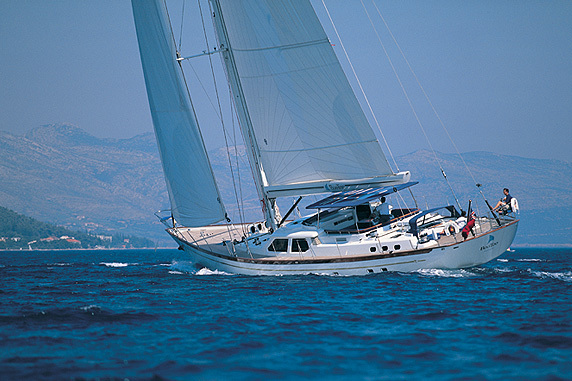 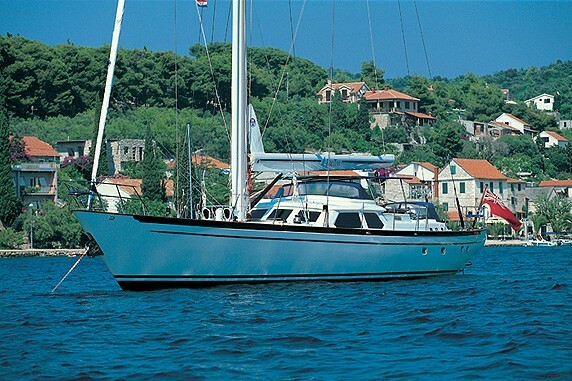 She is able to accommodate up to 4 guests in 2 cabins as well as a maximum of 10 whilst sailing. 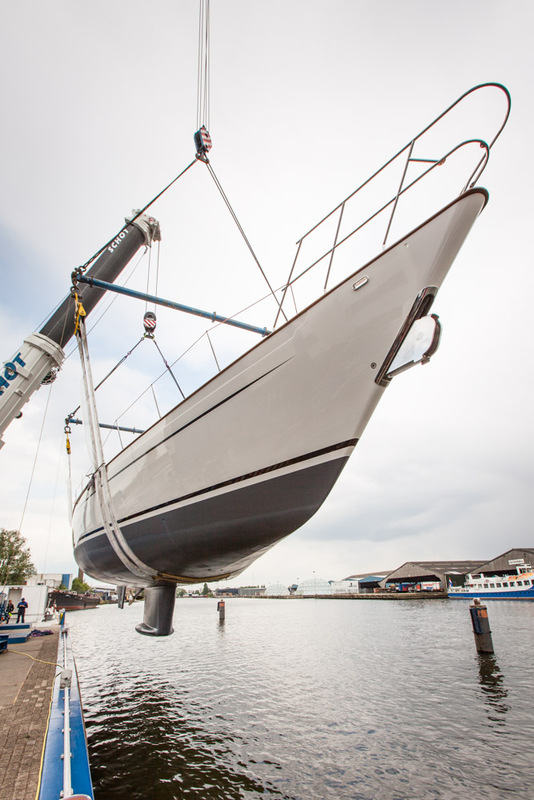 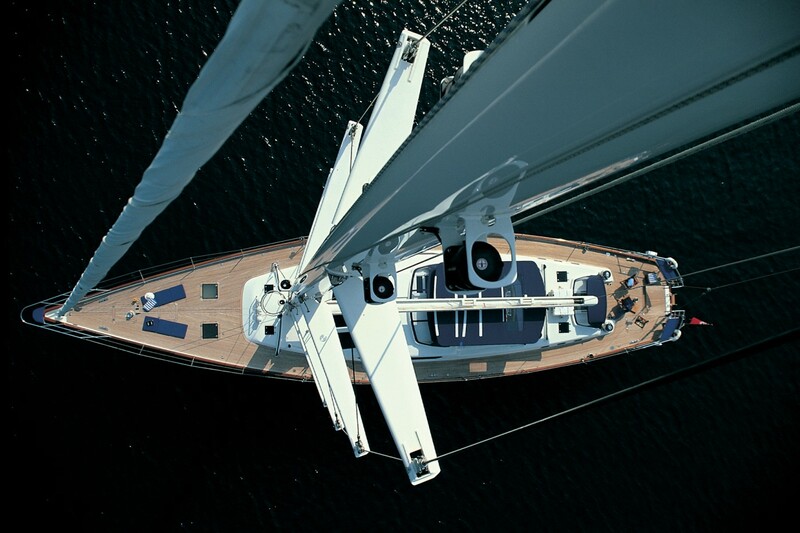 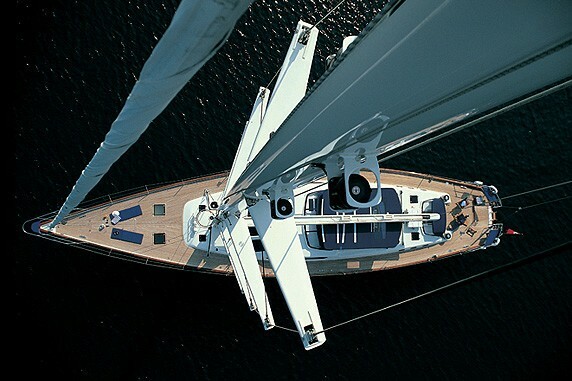 Striking a unique balance between sailing performance, ease of handling, high quality materials and world class workmanship, Wavelength yacht is a true, high performance world cruising Yacht. 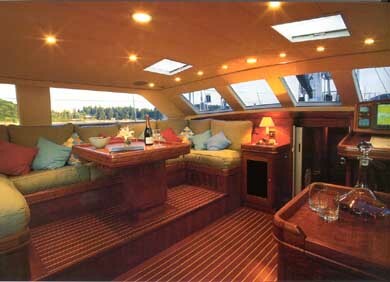 Wavelength has a raised saloon with panoramic views and easy access to the cockpit. 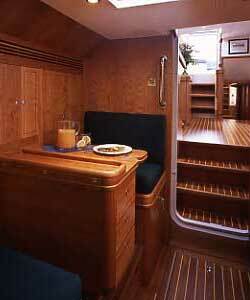 It has huge sofas for lounging and formal dining for ten with Royal Worcester china and Baccarat crystal. 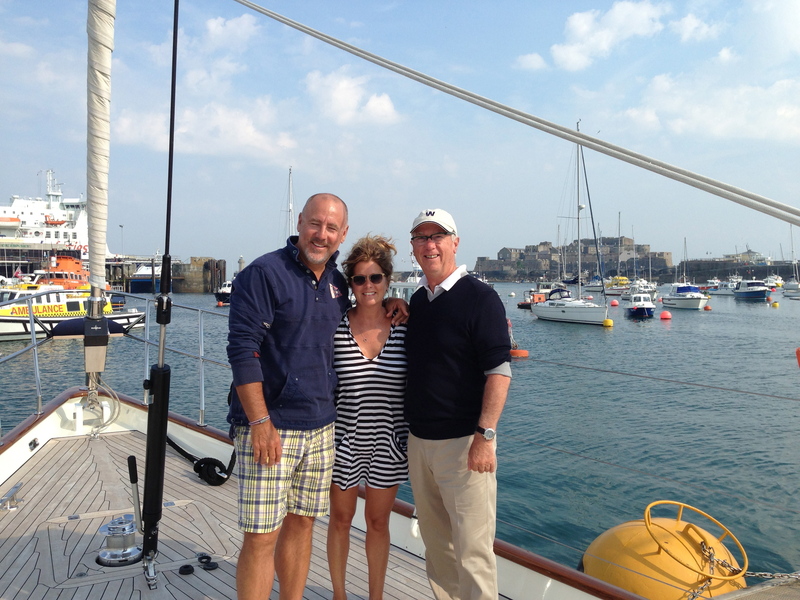 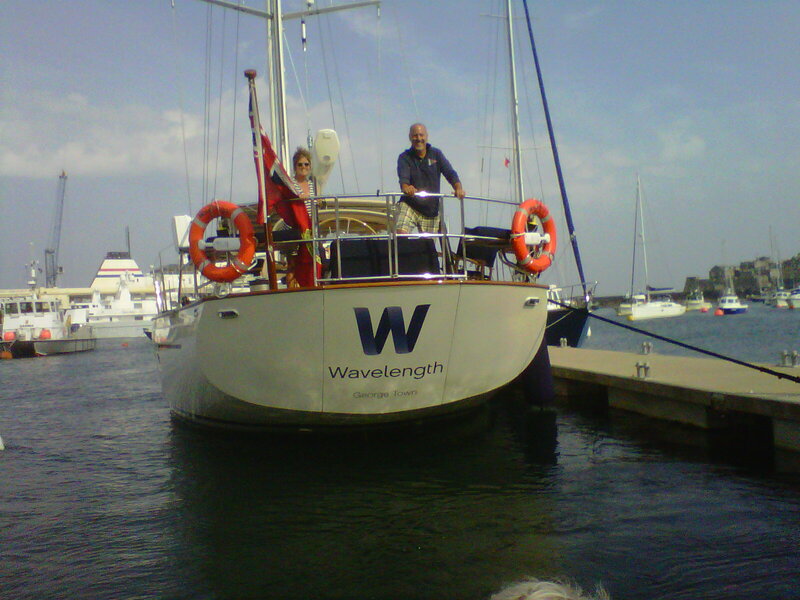 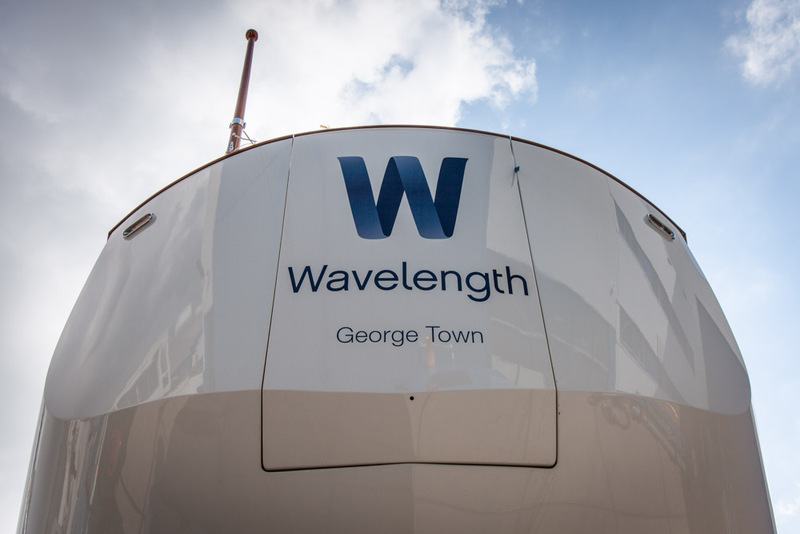 Wavelength is a powerful sailor: Take the helm and enjoy the exhilarating experience of sailing a thoroughbred yacht in yet another of the world's exotic locations. 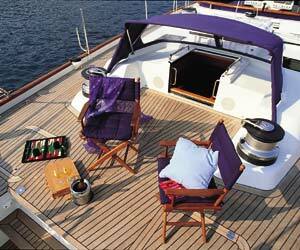 Or simply relax on the spacious sun-drenched deck. 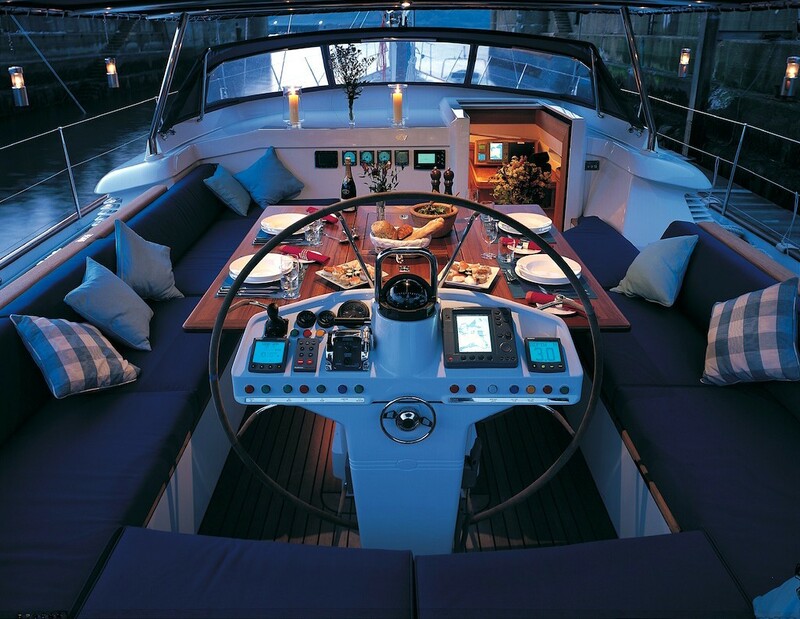 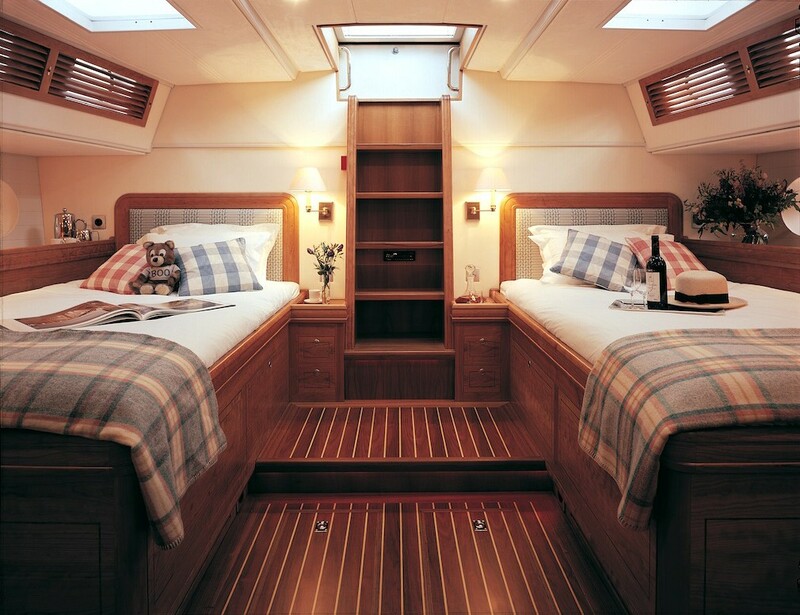 Following designer Ron Holland’s well proven raised saloon concept, guests can enjoy panoramic views from the spacious saloon, or comfortable contact with the elements from the protection of the on-deck dining cockpit and helm station. 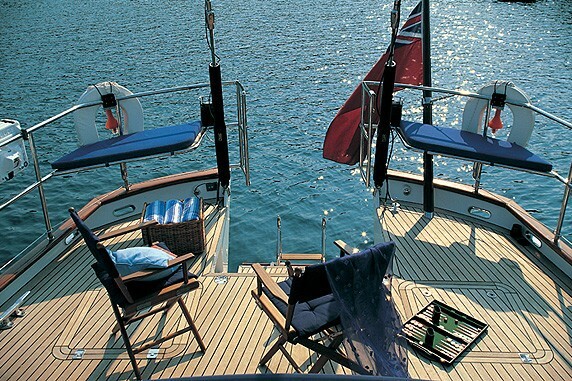 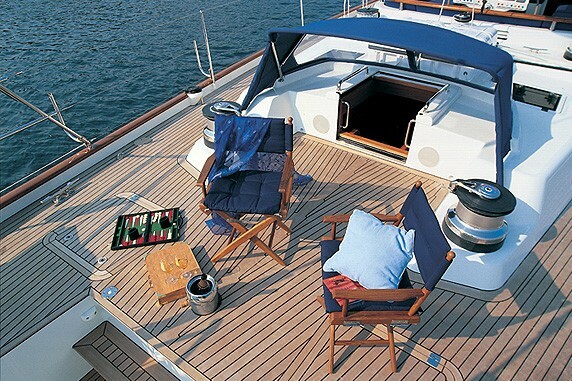 Clear teak decks and opening transom steps offer a variety of on-deck possibilities, as well as comfortable boarding and swimming from a retracted platform. 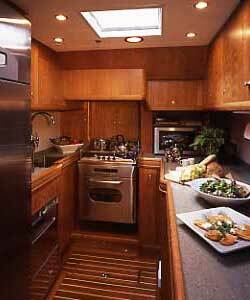 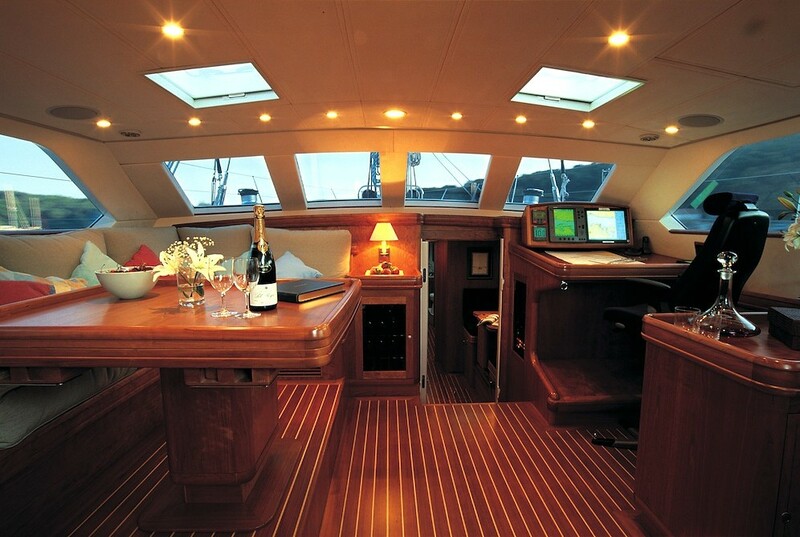 The interior successfully integrates social and entertainment features with the necessary practical aspects of ocean voyaging. 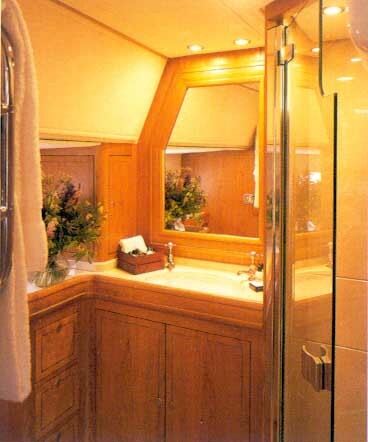 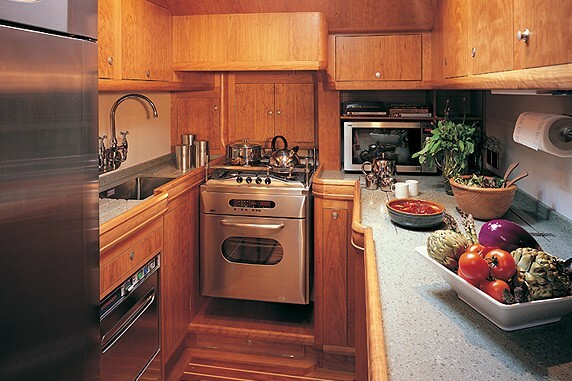 The unusual cherry wood interior, with its fine grains and feathered inlay, creates a feeling of deep luxury. 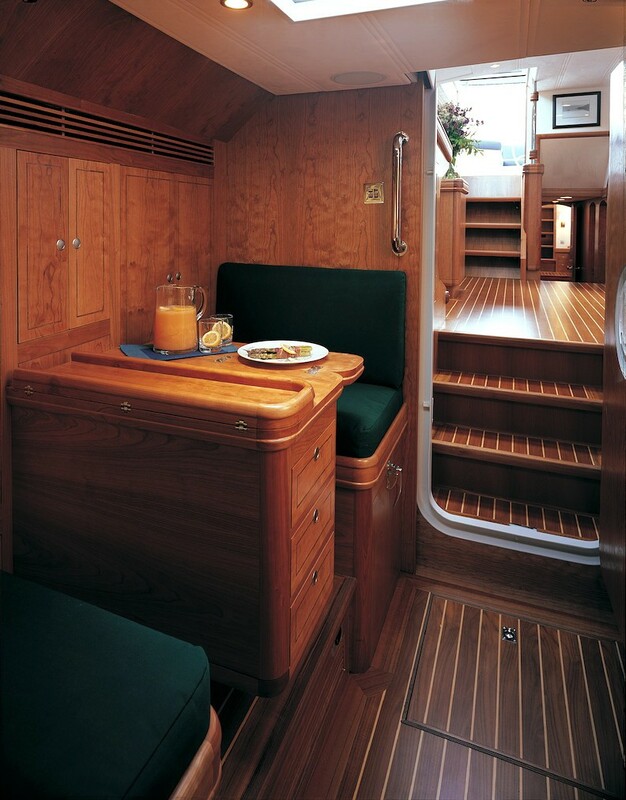 The unusual cherrywood interior, with its fine grains and feathered inlay, creates a feeling of deep luxury. 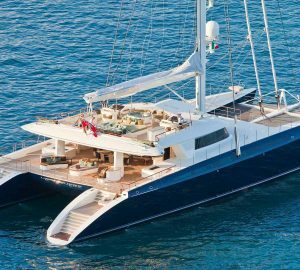 With accommodation for four guests and experienced crew to look after your every need, superyacht Wavelength is designed for exceptionally comfortable cruising. 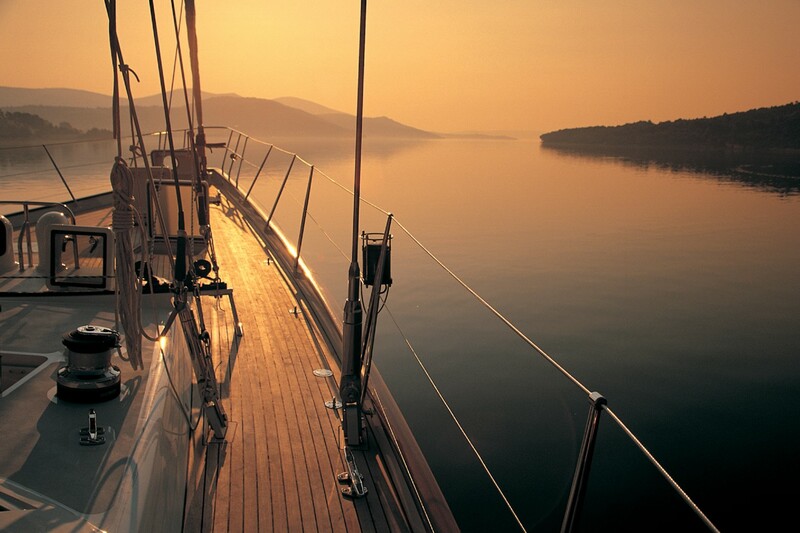 Space, comfort and quality, gourmet cooking and a desire to please with a friendly atmosphere on board make Wavelength an outstanding yacht and will make your sailing adventure an unforgettable experience. 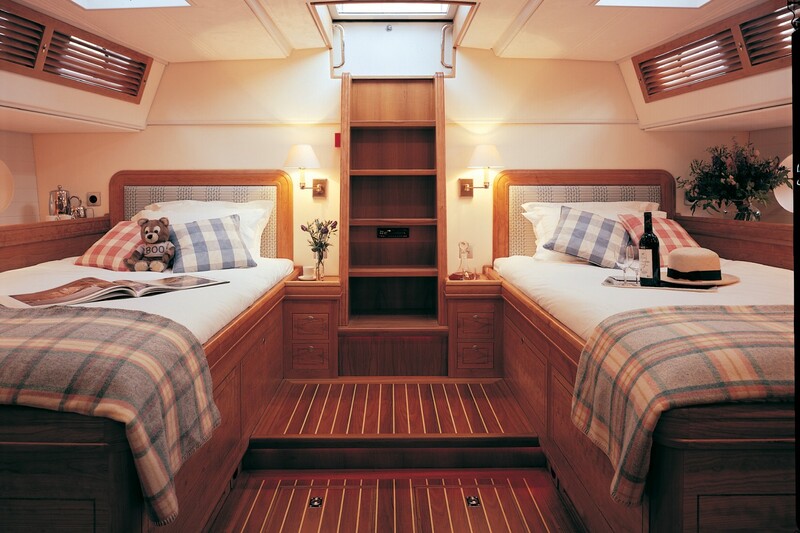 Her friendly and welcoming interior design was undertaken by a British design team. 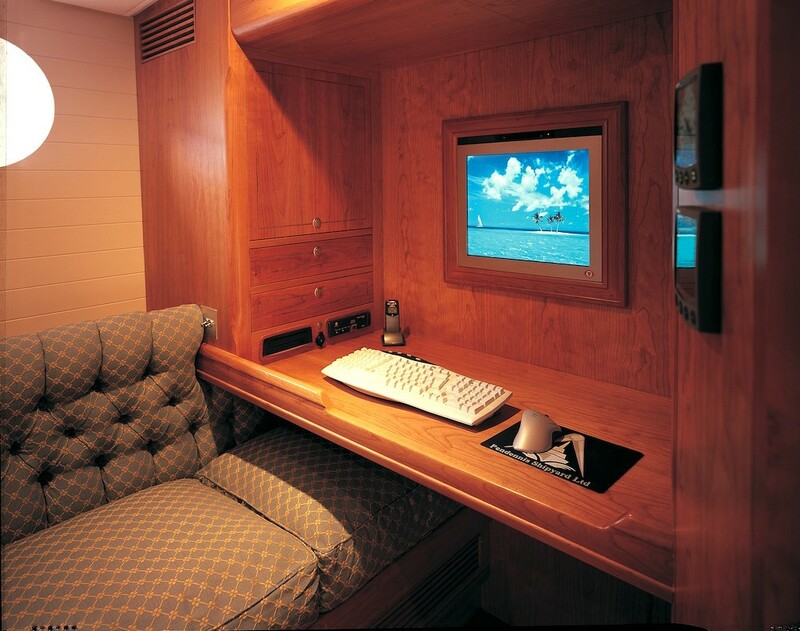 For your entertainment, Wavelength yacht is equipped with a 32" flat plasma video monitor, a library of up to date films, a sophisticated music system and full film-making capabilities to record your vacation. 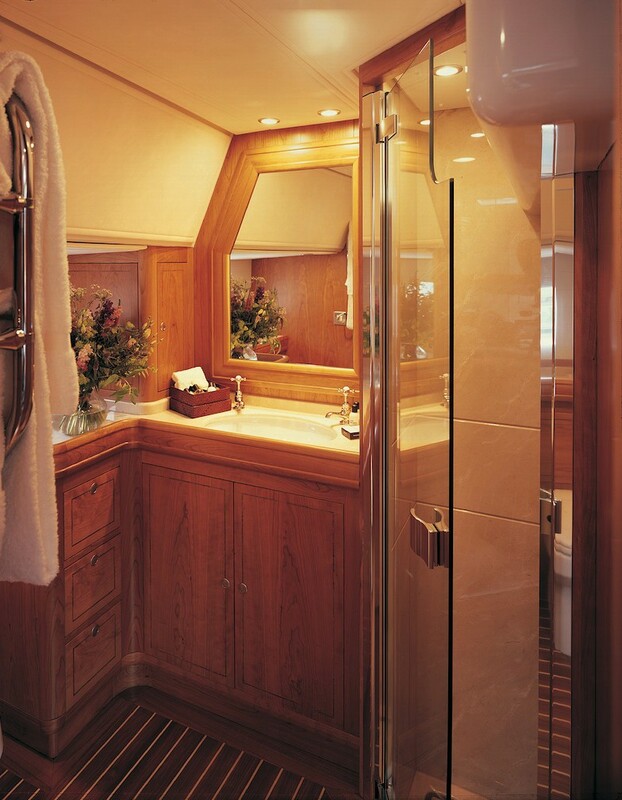 Wavelength (ex Boo Too) offers a light, bright master stateroom with its own private companionway onto the aft deck, a large bathroom and a study make up the principal suite. 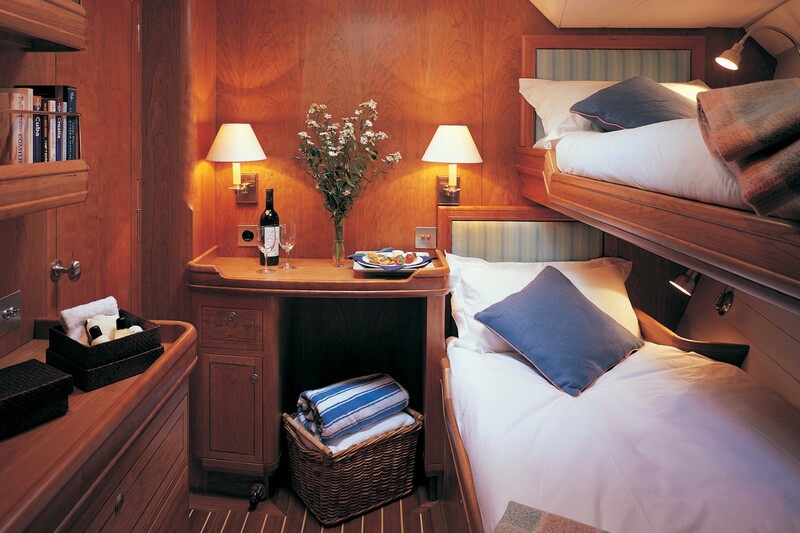 Her starboard twin guest stateroom sleeps two in great comfort with en-suite facilities. 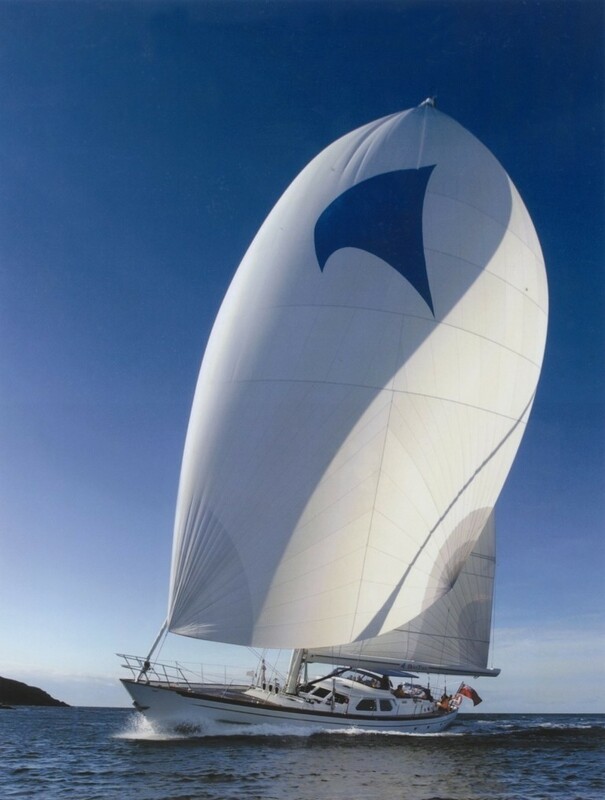 The yacht has windsurfing, water skiing, wake boarding, snorkelling, scuba diving, fishing or exploring exotic islands, inlets and golden sand beaches in one of the two tenders. 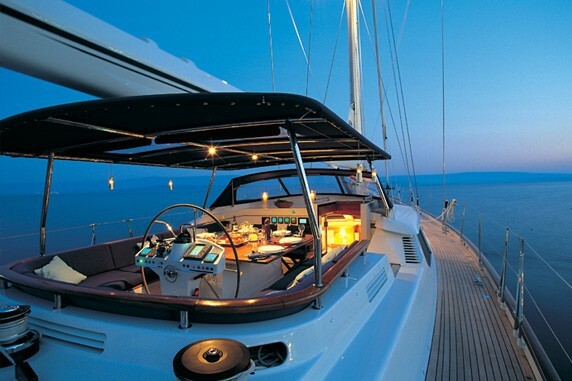 Underwater lights mean you can watch the night sea life. 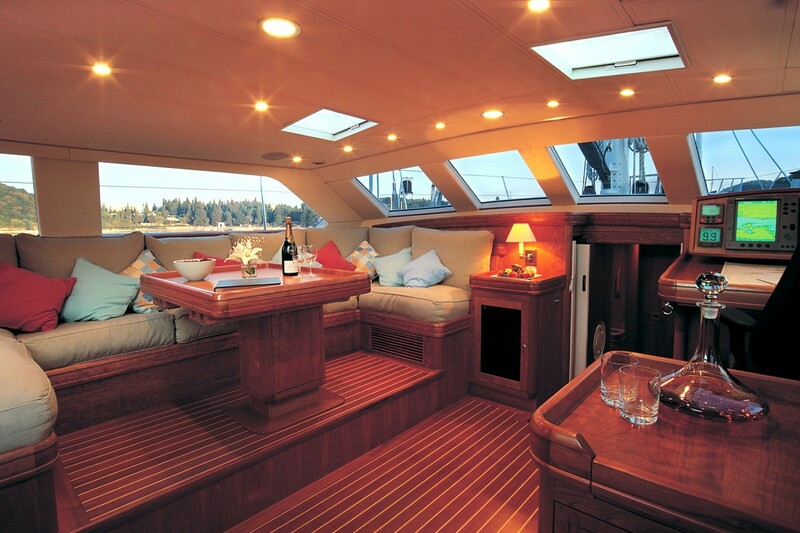 Wavelength features a classical interior with good natural lighting from the windows. 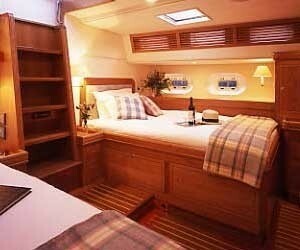 She is able to accommodate up to 4 guests in 2 cabins as well as a maximum of 10 whilst sailing. 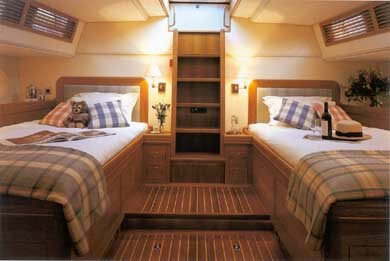 The beds in the master cabin are 118cm in width. 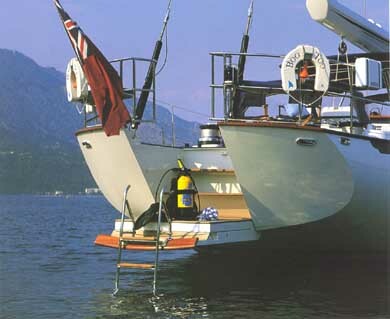 She carries a good inventory of watersport equipment for a sleek yacht of this size, including: A 4.7m Zodiac Futura with 30hp 3m Quicksilver Tender with 3.5hp. 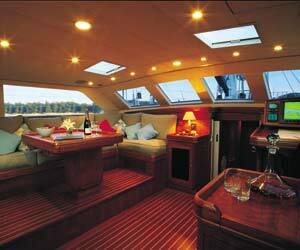 Her Audio Visual Equipment and Deck Facilities include a Plasma TV screen in the main saloon. 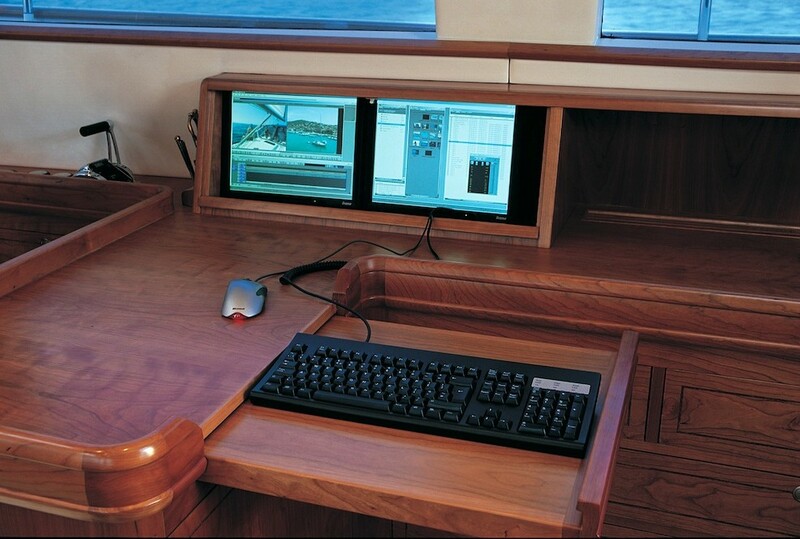 Communications Mini M fax & phone PK Wavelength (ex Boo Too) also has GSM.